As we detailed in a recent post, health-care costs in retirement are significant, and workers who have a financial plan that accounts for medical costs are nearly twice as likely to be on track to replace their income in retirement. As high deductible health plans (HDHPs) become more common, more and more workers are gaining access to a health savings account (HSA). HSAs are portable, investable, and unlike a flexible savings account (FSA), contributions are allowed to accumulate, even after contributions can no longer be made at age 65. Educating employees about the advantages of a health savings account is a good way to help them build flexible long-term assets while they also cover the costs of HDHPs during working years. 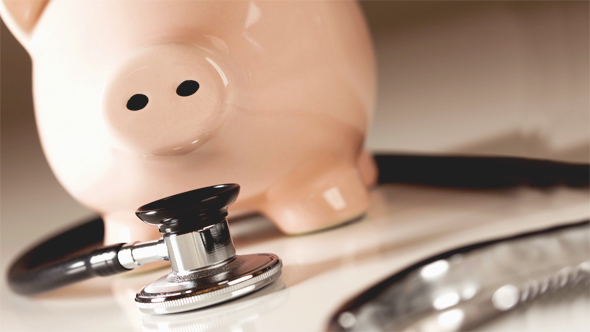 Here is an initial guide to some of the advantages of HSAs. Employees can contribute pretax dollars to both a 401(k) and an HSA, effectively increasing the potential of tax-advantaged retirement savings. HSA contribution limits increased for 2018 to $6,900 for those covered under qualifying family medical plans (up from $6,750 in 2017), and $3,450 for single individuals (up from $3,400). If 55 or older in 2018, catch-up contributions are possible of an additional $1,000, or total of $4,450 to an HSA for singles and $7,900 for families per year. HSA accounts typically grow tax free and offer investment options. Also, dollars used for qualified medical expenses before and after age 65 are never taxed as income. After age 65, HSA assets can be withdrawn for any reason without the 20% tax penalty currently assessed before age 65, and the distribution is taxed as regular income. This means that the HSA is treated the same in retirement as a 401(k) or IRA, without required minimum distributions but with the added advantage of tax-free medical cost payments. Speaking of IRAs, Qualified HSA Funding Distribution allows investors to transfer funds from an existing IRA to an HSA tax free and with no 10% early withdrawal penalty. The amount transferred cannot total more than what the investor would be allowed to contribute to an HSA for that year. The strategy may be used only once in a lifetime. Although the Tax Cuts and Jobs Act didn’t ultimately result in a change to HSA rules, interest in leveraging the accounts remains part of ongoing legislative debate and proposals. In the meantime, many employers are finding that encouraging participants to contribute to both a retirement plan and an HSA is becoming a popular and effective method for boosting retirement readiness. Mr. Dullaghan is an Investment Specialist within the Defined Contribution division. In this role, he is responsible for providing sales and marketing support for Putnam mutual funds to financial representatives, consultants, and pension plans in the Mid-Atlantic and Southern U.S. states. Mr. Dullaghan holds his Series 7, 26, 31, 63, and 65 licenses with FINRA, and is also an Accredited Investment Fiduciary (AIF). He joined Putnam in 2013 and has been in the investment industry since 1993.